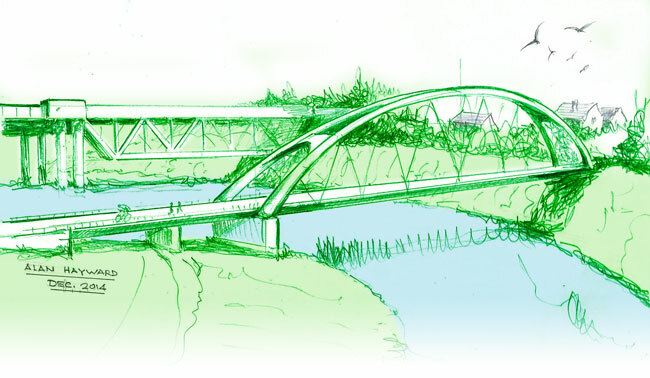 We are hosting a public meeting for the Wye Valley Greenway Project at 7.00pm on Wednesday 27th March at the National Diving & Activity Centre’s View Cafe Bar. The project’s aim is to restore the disused railway line from Chepstow to Tintern as a shared use path. The View Café Bar will be open from 6.30pm and project engineer, John Grimshaw, will run over the details of the scheme and answer any queries you may have. This entry was posted on Monday, March 18th, 2019 at 7:30 pm and is filed under Chepstow, Community, Cycling, Local Information, presentation, Site Facilities, The View Cafe Bar, Walking, Wye Valley Greenway. You can follow any responses to this entry through the RSS 2.0 feed. Both comments and pings are currently closed.